Front Sight has relocated the course administration office to Nevada. WE ARE NO LONGER ACCEPTING APPLICATIONS SENT TO APTOS OR WINDSOR, CALIFORNIA. Wed, May 29 2-Day Rifle Marksmanship Skill Builder - NEW! Fri, May 31 2 Day Advanced Tactical Handgun - NEW! Wed, Jun 19 2-Day Rifle Marksmanship Skill Builder - NEW! Fri, Jun 21 2-Day Rifle Marksmanship Skill Builder - NEW! Sun, Jun 23 2 Day Advanced Tactical Handgun - NEW! Thu, Jun 27 2 Day Advanced Tactical Handgun - NEW! Mon, Jul 8 2-Day Rifle Marksmanship Skill Builder - NEW! Fri, Jul 26 2-Day Rifle Marksmanship Skill Builder - NEW! 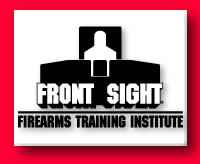 Fri, Aug 9 2-Day Rifle Marksmanship Skill Builder - NEW! Wed, Aug 14 2-Day Rifle Marksmanship Skill Builder - NEW! 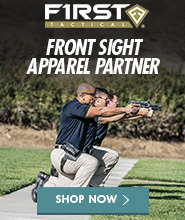 Fri, Sep 6 2 Day Advanced Tactical Handgun - NEW! Fri, Sep 13 2-Day Rifle Marksmanship Skill Builder - NEW! Wed, Oct 9 2-Day Rifle Marksmanship Skill Builder - NEW! When you enroll in a course at the regular price, you may enroll a friend or family member in any course offering "Buddy System" pricing for 25% off the normal cost, providing that you both attend the course on the same weekend. This will save $250 off the cost of a two-day course, and $500 off the cost of a four-day course. When you include splitting the travel and lodging expenses with your buddy, you save even more. See the course descriptions in this brochure for those courses offering "Buddy System" pricing. So bring a buddy or a group of buddies and they all will receive a 25% savings off the normal costs.